We are extremely proud to present this rare piece of equipment, the “Rodeo Duel” one of only a few in the country!!! – The ultimate rodeo challenge is here!! 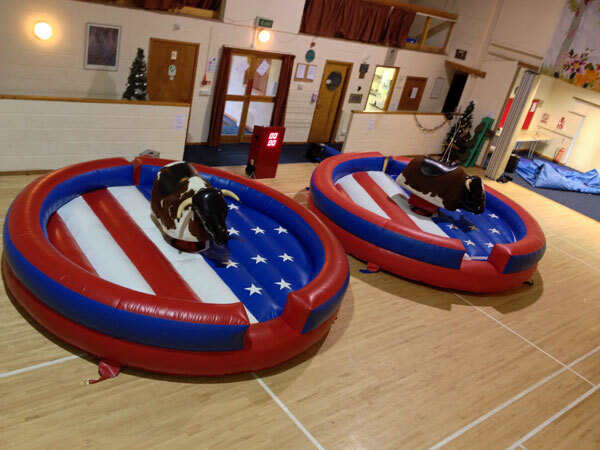 When you thought one angry bull was enough…..
All controlled in-sync by our fully trained staff the twin-bull system operates fantastically to give an amazing experience, adding a real challenge with a lot of laughs along the way. Our fantastic Duel Rodeo bulls will be the talk of your event long after!! 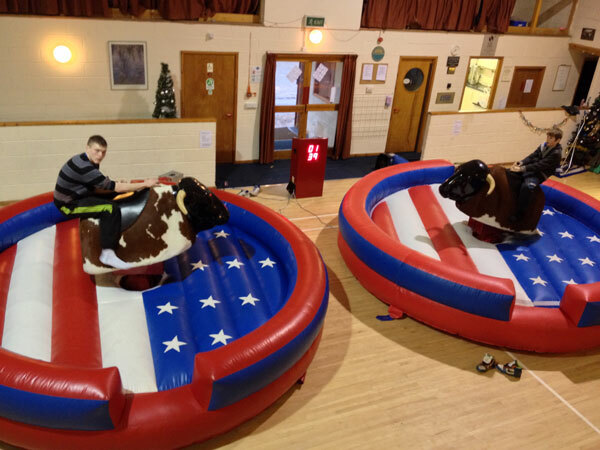 The rodeo duel package provides everything in the adult bull package but multiplied by two. then £50 per hour for any additional hours when booked in advance. All prices stated are within a 10mile radius of our location please contact us for delivery charges for greater distances. 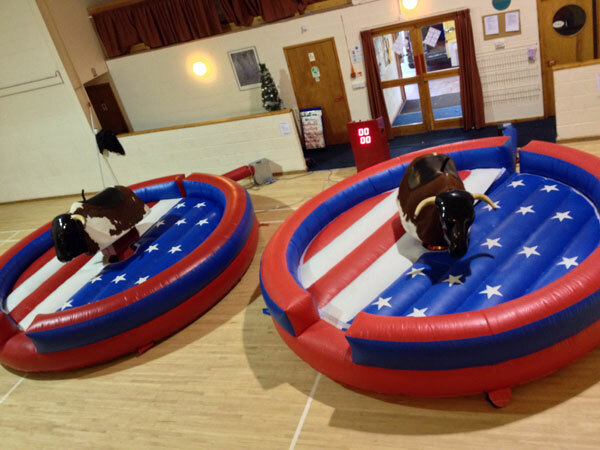 For more Rodeo Bull fun see our Rodeo Bulls For Hire website.